Whether you enjoy short cross-country ski loops with gentle slopes and spectacular sights, or longer challenging ski routes, Lake Louise is full of breath-taking cross-country skiing adventures. 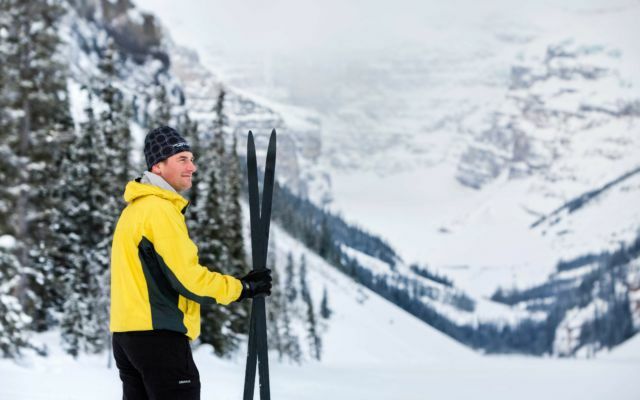 Whether you enjoy short cross-country ski loops with gentle slopes and spectacular sights, or longer challenging ski routes, Lake Louise is full of breath-taking cross-country skiing adventures. Take in the scenery at a variety of locations including; Moraine Lake, Pipestone Loops, Great Divide trails and Tramline. 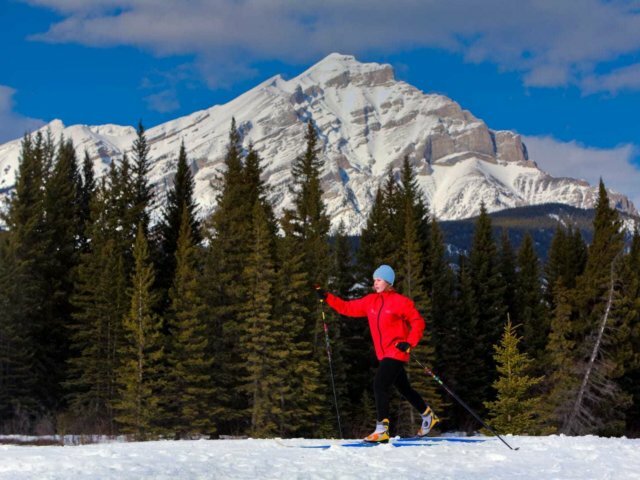 Get ready for cross-country skiing at Wilson Mountain Sports in Lake Louise. You can reserve your choice of cross country skis in advance for weekends and peak season periods, or visit them in store at the Samson Mall, a short walk from the Mountaineer Lodge. When it comes to trail reports and being "in the know", Skier Bob as he is known, is the expert for cross country ski information in the Bow Valley. His blog, trail reports and facebook page is a source of up-to-date information and general trail knowledge.